Sadly, there aren’t many truly comfy sportsbikes produced any more and gone are the days where the likes of the Honda Fireblade and Suzuki GSX-R1000 could be considered comfier and less-focussed than the likes of the Yamaha R1, Kawasaki ZX-10R and BMW S1000RRs of the world. However, there are still some sportsbike-shaped machines around that you can happily do big distance on, as well as conquer your favourite B-road. To help you decide which is best for you, we have trawled the options on MCN Bikes For Sale to bring you three of our favourites. Don't be fooled. 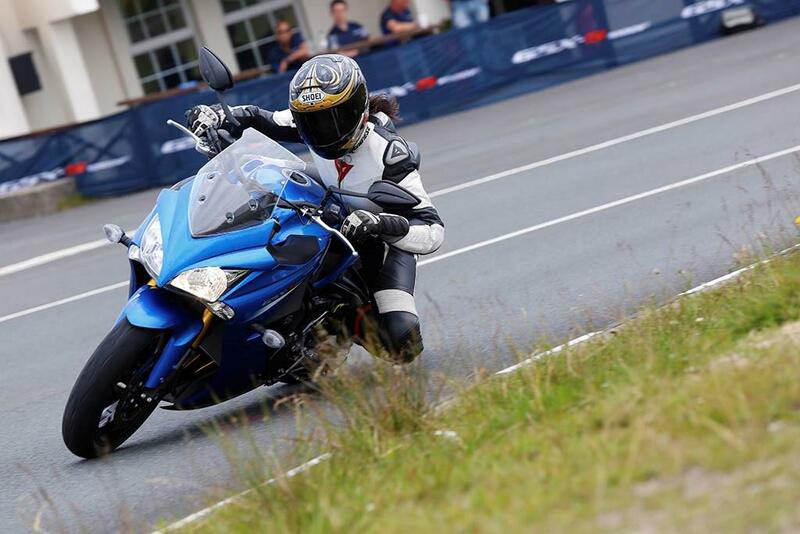 Yes, the Suzuki GSX-S1000F may look a bit soft around the edges, but it is so much more than just a big, soggy sports tourer. Offering pin-sharp handling and a gutsy motor, MCN's Emma Franklin actually called the it 'a true sportsbike in almost every sense' at its 2015 launch event. With usable performance and comfort to boot, the upright 1000F dispatches with bends with ease, remaining planted when pushed and stable at speed and begging the question why you would ever need a full-fledged sportsbike for your road-going thrills. This is helped by the fully adjustable Kayaba front suspension, which runs slightly more fork oil and a different shim stack to that of the naked GSX-S1000 variant. At the rear, a preload and rebound adjustable monoshock links to an of-the-time GSX-R1000 swingarm, allowing you to really lay down the full 145bhp from its K5-derived motor. The Kawasaki Z1000SX is one of the UK's best-selling big bikes and very recently took the crown of best sports tourer when pitched against Yamaha's Tracer 900 GT around MCN's gruelling 250 route. Essentially a Kawasaki Z1000 with a front fairing and the option to take luggage, the Zed offers slightly less punch than the Suzuki, however remains a tempting all-round package. Receiving updates last year, the bike is now littered with the latest rider aids, sharper styling and greater rider comfort. The engine has also been cleaned up to meet Euro4 standards, whilst retaining the same bore and stroke as the 2014 model. 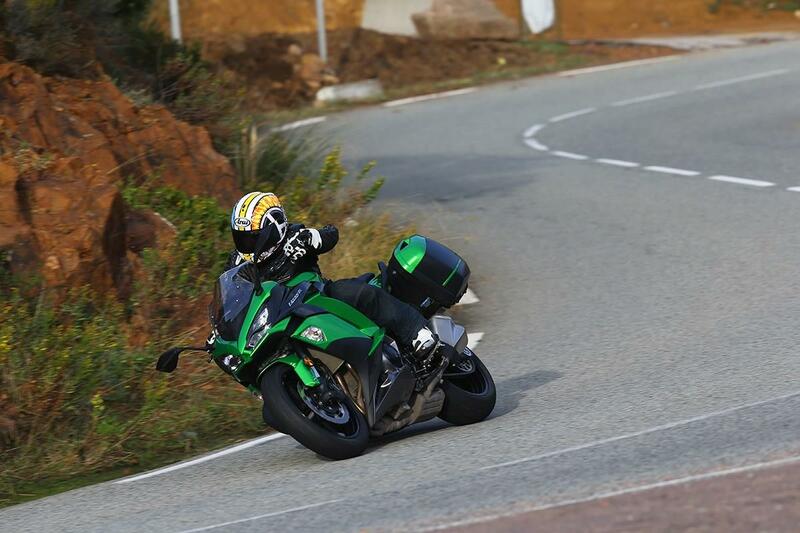 Sitting somewhere between the Z1000 and the track-focussed ZX-10R, the SX offers the best of both worlds, with characteristics similar to the naked Z1000, alongside much of the usable punch of the 10R. Producing 113bhp from its 937cc retuned Ducati Hypermotard 939 and Multistrada 950 engine, both models of the SuperSport offer a genuine alternative to a thoroughbred sportsbike on the roads. MCN Chief Road Tester Michael Neeves attended the launch of the bikes last year and said: "Of course, there’s more than enough power for the road, but experienced sportsbike riders will want for more and it does lack a certain fun-factor. 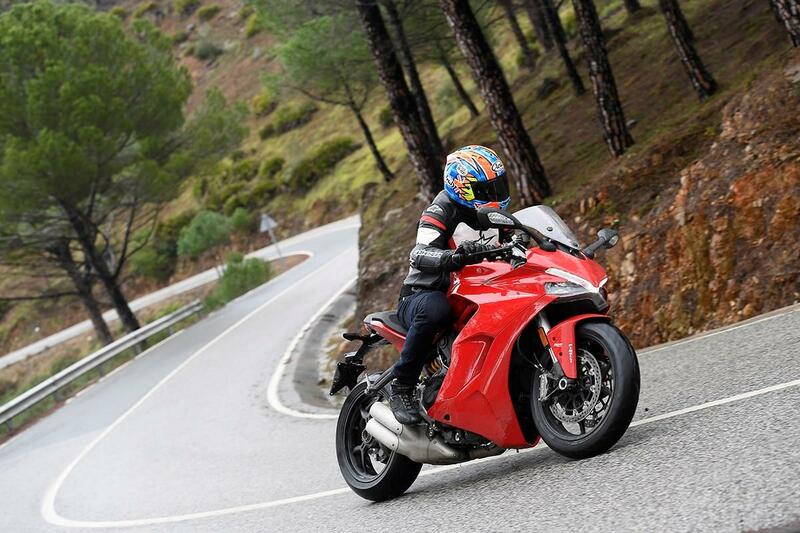 "But like the old 90s and early noughties Ducati Supersport, your speed comes less from ‘point-and-squirt’ and more from maintaining momentum and carving perfect, high-speed arcs through fast corners. It’s here where the new SuperSport excels." Although both machines offer plenty, the S model is gifted with the addition of a quickshifter and autoblipper, Ohlins suspension and a seat cowling.